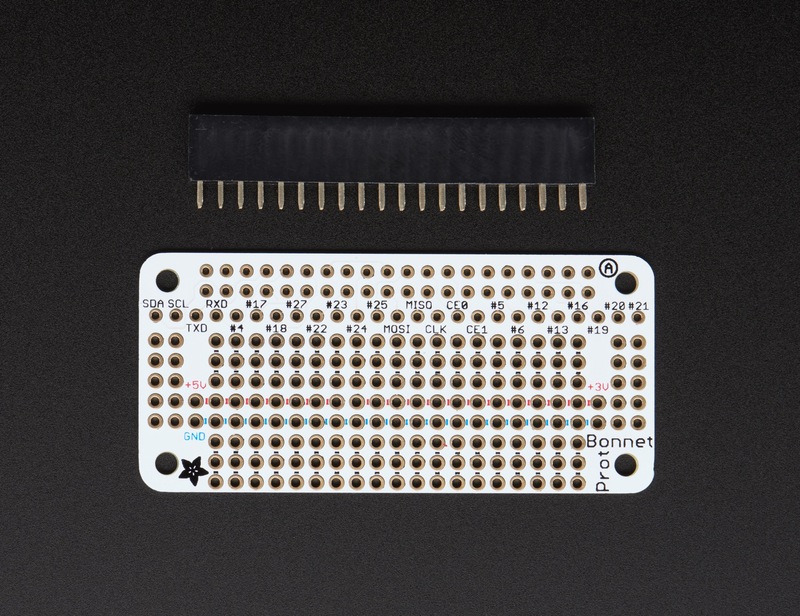 NEW PRODUCT – Adafruit Perma Proto Bonnet Mini Kit « Adafruit Industries – Makers, hackers, artists, designers and engineers! Design your own Bonnet or pHAT, attach custom circuitry and otherwise dress your Pi Zero with this jaunty prototyping Bonnet kit! 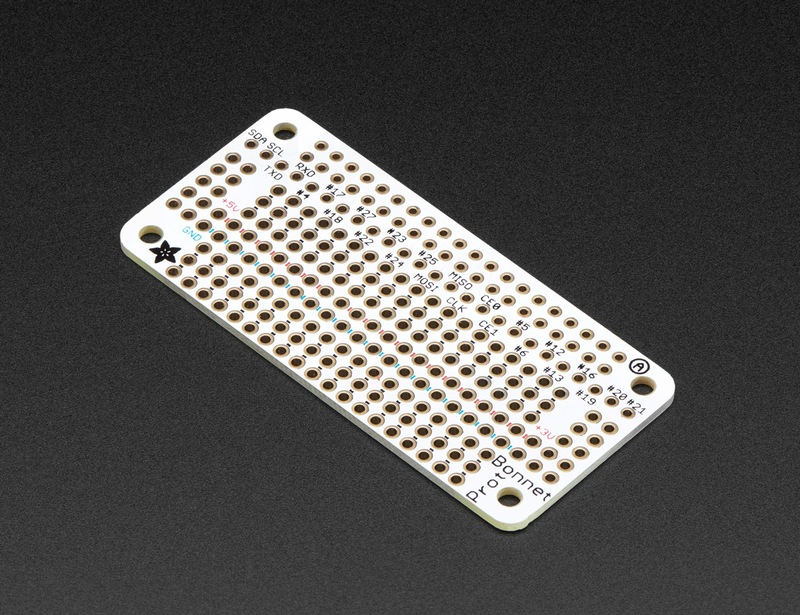 To add to the Adafruit Bonnet party, we have this Perma-Proto inspired plug in daughter board. 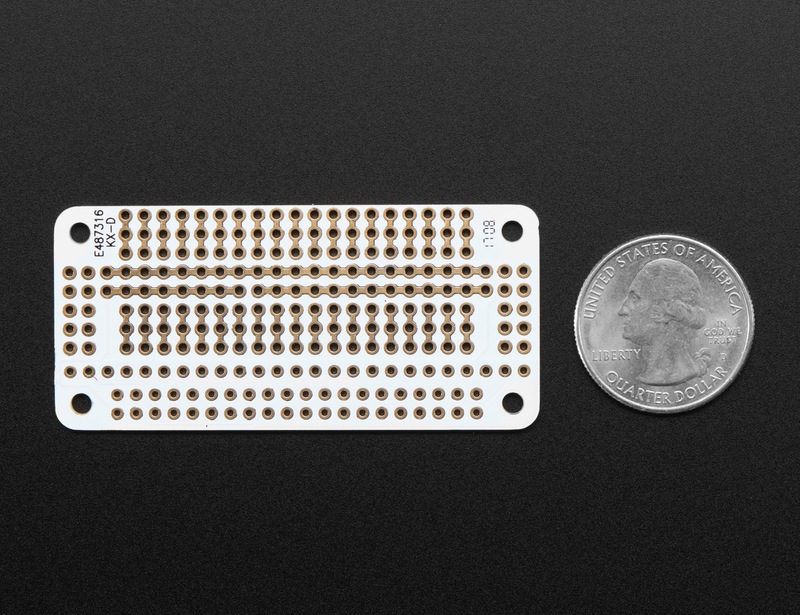 It has a grid of 0.1″ prototyping soldering holes for attaching chips, resistors, LED, potentiometers and more. The holes are connected underneath with traces to mimic the solderless breadboards you’re familiar. There’s also long power strips for +3V, +5V and Ground connections to the Pi. Near the top we break out nearly every pin you could want to connect to the Pi (#26 didn’t quite make the cut). The Perma-Proto Bonnet comes with a printed circuit board and a single 2×20 GPIO Header for Raspberry Pi to put your Perma-Proto on top of your Raspberry Pi Zero (like a nice little bonnet…). Unlike our Perma-Proto HATs, this design does not include an EEPROM, so you can ‘stack’ it with other Bonnets and pHATs without worrying about an EEPROM address collision. 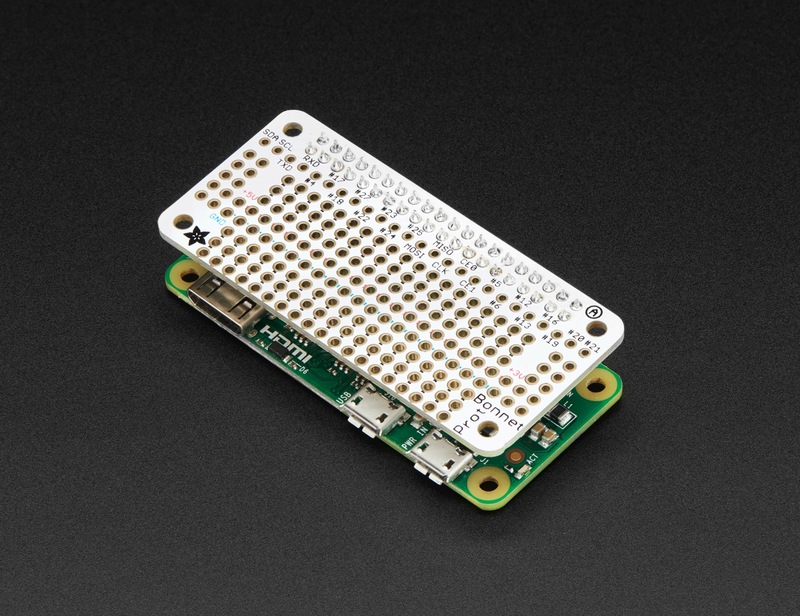 This bonnet is designed for use with Raspberry Pi Zero but you can put on top of any Raspberry Pi with a 2×20 connector, it will just not stick out as far. We also offer a full ‘HAT’ sized version for Pi A+, B+, Pi 2 & 3.